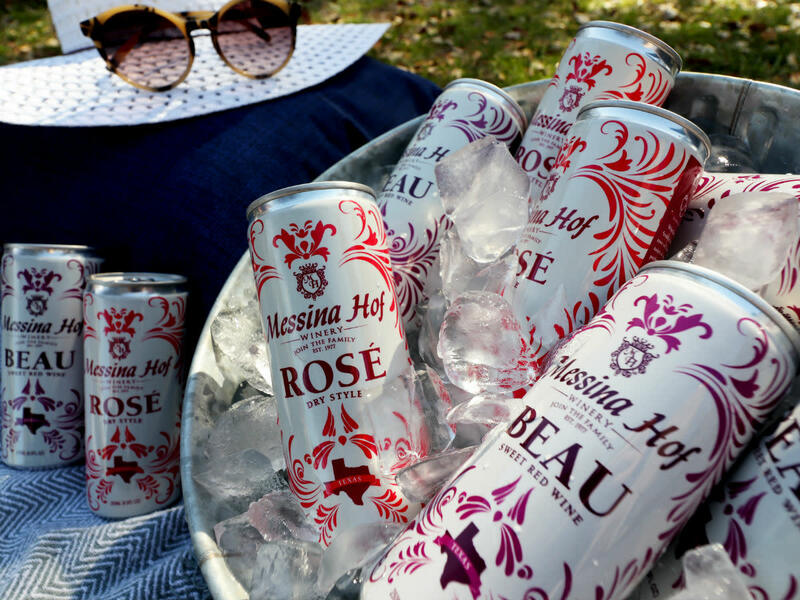 Award-winning Texas winery Messina Hof has embraced one of the hottest trends in wine right now: wine in a can. They've debuted with two wines: a sweet red and a dry Rosé. They're sold in four-packs — which equals about a liter — for $20. 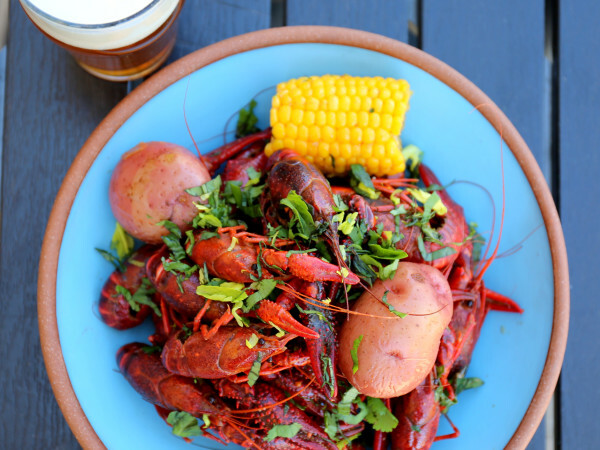 You can buy them at Messina Hof's three locations: the estate vineyard in Bryan; the Messina Hof Hill Country Winery in Fredericksburg; and the Messina Hof Grapevine Winery, in Grapevine. They're also for sale through the website, and will soon be on shelves at retailers throughout Texas. Messina Hof owner and winemaker Paul M. Bonarrigo calls the cans "an exciting new expansion" in alternative packaging that continues a Messina Hof tradition of staying on the cutting edge. "Messina Hof was one of the first wineries in Texas to offer wine on tap," he says. "It's not just about the can, but it ties into who we are as a company, going back to when my parents founded Messina Hof in 1977. 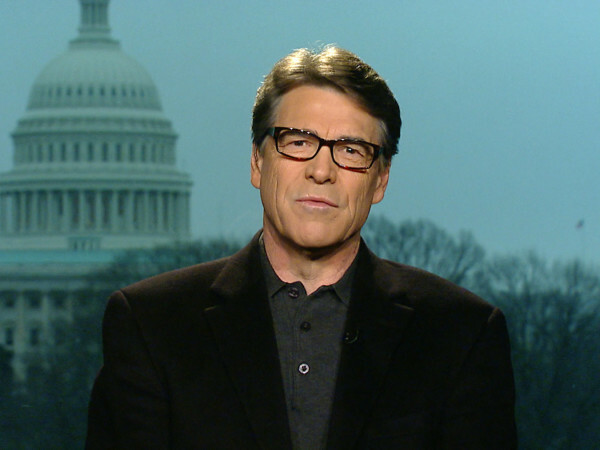 "Back then, Texans in general didn’t drink a lot of wine," he says. "So the early mentality at Messina Hof was always about making wine approachable and giving people who were starting their wine journey a broad selection." They're also committed to reducing their environmental impact. In 2013, Messina Hof launched a keg program and has sold more than 400 kegs to restaurants and bars. "It's part of a green initiative to save bottles from going to the landfill," Bonarrigo says. "Bottles are a lot harder to recycle than cans and other recyclables." Cans are convenient: perfect for outdoor concerts, hiking, swimming at the lake, grilling in the backyard, or picnics in the park. They're also a countermeasure for venues in Texas that don't allow glass. "Concert venues and river amusements won't allow glass, but they will allow plastic and aluminum, and we kept being asked for a solution to that issue," Bonarrigo says. Wine in a can has been a growing trend, pioneered by West Coast wineries such as Francis Ford Coppola Winery, who blazed the trail with the "Sofia Mini" fizz in the early 2000s. Infinite Monkey Theorem, an urban winery in Denver, was an early adopter. Whole Foods Market began selling their wines in spring 2016, and now sells more than half a dozen canned wine options. Canned wines initially met some resistance from snobs, but canning actually adds a little something extra to the drinking experience, Bonarrigo says. "Canned wine uses liquid nitrogen to keep the wine fresh and to pressurize the can," he says. "The side effect is that it gives the wine a refreshing character." Canned wine is also just fun. They come in cute little cans holding about 6-8 ounces of wine, like a generous single-serving portion. 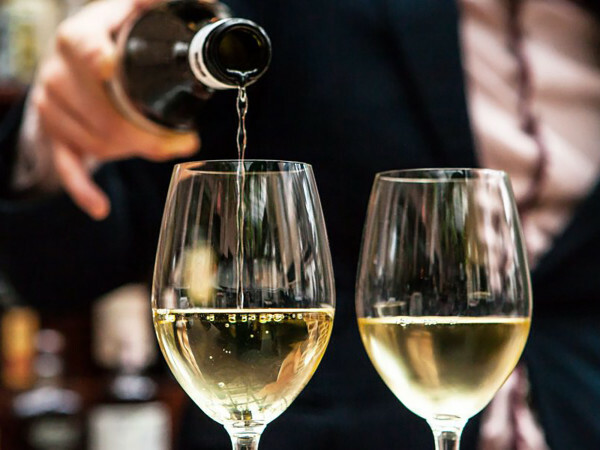 You don't need a corkscrew, or even a glass, for that matter. Just pop and sip. Messina Hof's first run comprised approximately 17,000 cans of each, and it won't stop there. They intend to add two more canned wines by 2019. "At 3-4 percent of our output, it's still a tiny amount, but I feel like it will change dramatically," he says. "After our initial canning this spring, we are already getting orders that will require another canning session in the next two months."